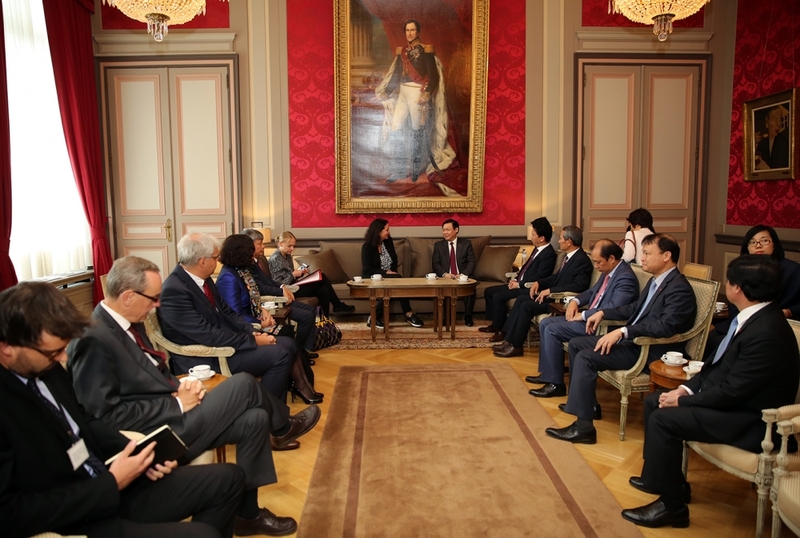 Belgian leaders told the Vietnamese Deputy PM that they attach importance to the relationship between the two countries as well as Vietnam’s important position in the EU-ASEAN ties. Both Vietnam and Belgium affirmed that economy is the main pillar of the bilateral cooperation, and consented to take more active measures to facilitate export and encourage Belgian businesses to invest in Vietnam in such areas as maritime transportation, logistics, green technologies, agriculture, renewable energy and health care which are of their priorities and strengths. 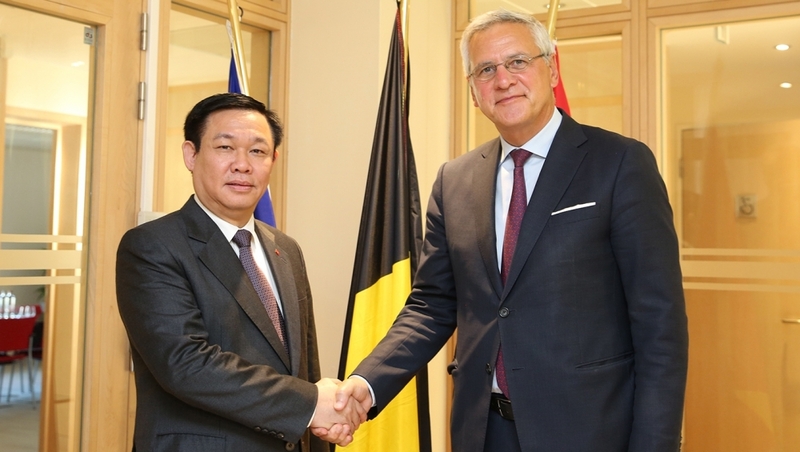 Deputy PM Hue lauded relations between Vietnam and all-level authorities of Belgian regions and localities, saying they have brought about pragmatic outcomes in research, education-training, French language teaching, health care, technical support, environmental protection and cultural exchanges. At the meeting, Deputy PM and Minister for Employment, Economy and Consumer Affairs Kris Peeters, and Senate President Christine Defraigne shared Deputy PM Hue’s views about the importance of the EU-Vietnam Free Trade Agreement to promoting economic links between EU members, including Belgium, and Vietnam. The two sides, therefore, agreed to tie up to accelerate the signing and ratification of the deal. Minister-President Bourgeois said that Flanders enterprises always place importance to the Vietnamese market and will step up their trade and investment activities in the country, as well as other nations in ASEAN and Asia-Pacific through Vietnam. Deputy PM Hue suggested the Flanders region expand its cooperation programs in Vietnamese localities. The two sides will advance the relations, especially via scholarship programs, joint research studies between their universities and research institutes, expand collaboration in the realms of Flanders’ strengths and Vietnam’s interests like research in new materials, sustainable aquaculture, IT and medical products, and increase the operational efficiency of the Flanders Investment and Trade (FIT) in Vietnam. The two sides agreed to promptly roll out plans on trade, investment and culture promotion in each country to mark the 45th anniversary of diplomatic ties between Vietnam and Belgium (1973-2018). They also agreed to maintain high-level meetings and the exchange of all-level delegations, while continuing to closely coordinate and support each other at multilateral forums. Also on September 19, Deputy PM Hue had a meeting with European Commissioner for Maritime Affairs, Fisheries and Environment Karmenu Vella, during which he called on the EU to continue its support for Vietnam in building policies on water resources management, environmental protection planning, forest administration, forestry product trading. Vella promised that the EU will increase its support for Vietnam in maritime environmental management and sustainable exploitation of maritime resources. Regarding the illegal, unreported and unregulated fishing, Deputy PM Hue affirmed that Vietnam has implemented many inclusive solutions to tackle the issue. They agreed to maintain dialogue channels to effectively handle the problem. 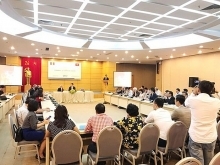 The EU pledged to assist Vietnam in joining relevant international conventions.